From our stores and warehouses we are able to offer over 250 different product lines to our customers, including undercar, underhood, chemicals, tools and workshop equipment, plus a wide range of performance related parts. We carry over 55,000 active part numbers in our inventory, which equates to over 2.5 million parts. For a full listing of our stores locations click the store locator button on the menu above. AC Delco has become the company’s flagship parts program, with an offering of 45 different product groups. AC Delco’s proud brand heritage combined with their Professional Service Centre (PSC) technician training program, make it the product demanded by the technicians of today. The PSC program is the fastest growing installer based program in Canada, that offers comprehensive technical training with both internet based and hands on abilities. It also offers a technical support hotline, exclusive rewards program and many other features. Installer Customers enjoy 15 to 20 minute delivery in most local areas, on all orders placed either electronically or by telephone. 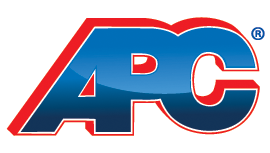 APC Auto Parts Centres continues to be a closely held family business that prides itself in service, product availability, competitive pricing and access to senior management. The company currently employs over 150 people, many with more than 10 years of service. The company prides itself with an atmosphere of hardworking customer-focused employees. Our parts counter professionals are noted to be some of the best in the industry for their knowledge and helpful, customer-friendly attitude. The management does not believe in standing still, and are constantly striving to push the company in new directions, seeking new markets while retaining and developing existing customer bases. APC’s target market is purely trade based, supplying garages, specialty installers and muffler shops throughout the province, with product lines that include; ACDelco, Bosch, Total Lubricants, Federal Mogul, AP Exhaust, Tenneco, Dayco, Fram/Autolite, Spectra Premium as well as many others.